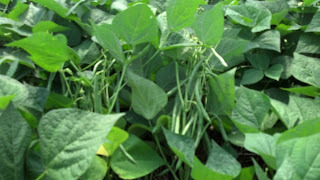 Home Agriculture Farming green beans local foods sustainable agriculture Vegetables Buy More Green Beans! 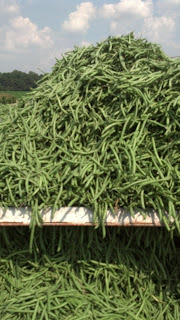 Yesterday marked the beginning of green bean harvest on our family farm. We diversified into growing green beans several years ago as a way to diversify the farming operation. This spreads our risk out over more crops as opposed to "putting all our eggs in one basket" so to speak. 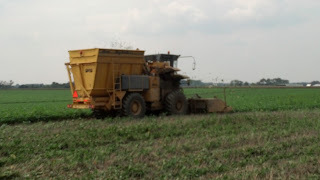 We were able to diversify into green bean growing because 1) there's a local market demand; 2) there is a regional distributor who sells the produce throughout the region that we as farmers do not have access to; and 3) and most importantly - we did not have to buy any new equipment or change any equipment in order to add green beans to our list of crops. Point 3 is really important. Farm equipment is wicked expensive (yes I know that phrase dates me and perhaps even identifies that I'm originally from New England...). Diversification can be costly when you need specialty equipment. Too costly to justify when you consider the crop is a very small portion of the bigger picture. 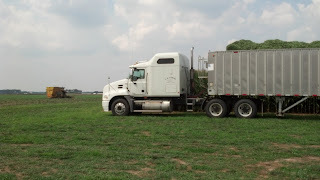 We grow these green beans because we can get them planted and tended throughout the season but we ourselves do not own and would not buy green bean harvesters to bring the crop in. 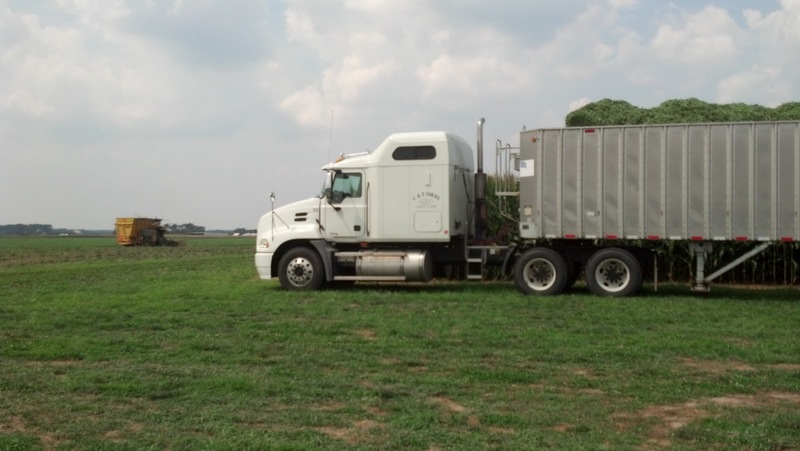 We grow for a company that provides custom harvesting and custom hauling. That works for us. Thus, while green bean harvest is going on, we're busy getting the combine ready for corn and doing final prep work in the vineyard to begin grape harvest. So the custom harvest and custom hauling also fits our farming operation this time of year when we just finished tomato harvest 2 days ago. Diversification is time consuming and creates a huge time crunch when crops like tomatoes, green beans, and winegrapes all start ripening at the same time. We can only be in so many places at one time. 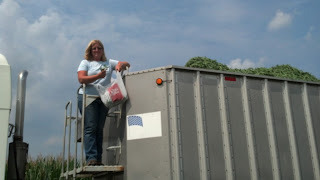 Our green beans are hauled to a distributor. Sorted and graded and then shipped to the grocery stores in the Virginia, Maryland, and Washington DC area. 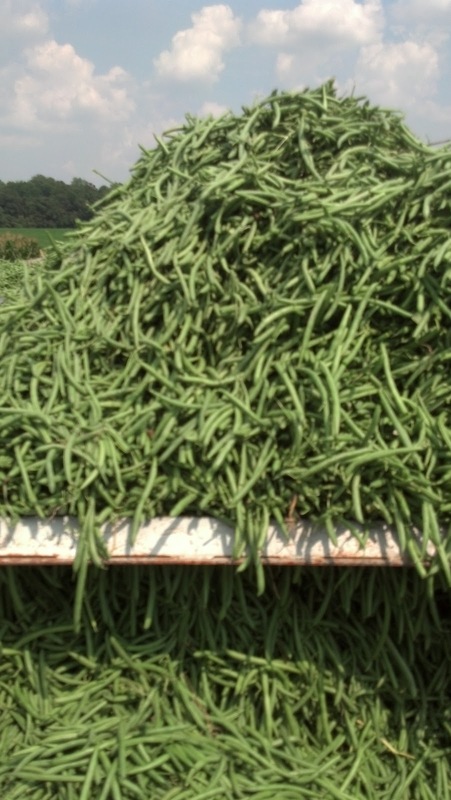 If they do not "grade out" to be for the fresh market, they get sent to a cannery for canned green beans. 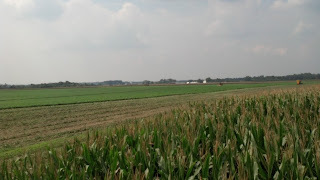 While I support the concept of "buy local", if you're in the Maryland, Virginia, DC metropolitan area shopping at a grocery store this coming week, chances are if you buy green beans there, they will be from my farm. You are buying "local" without seeing my face. 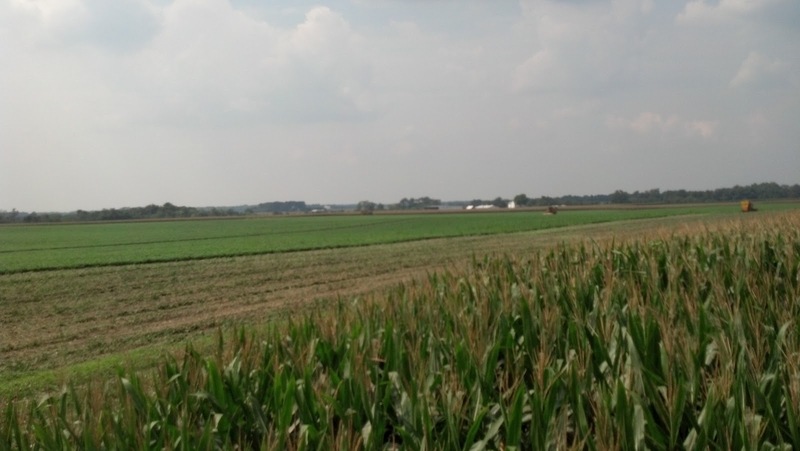 This is just an overview shot of our green bean field, with corn in the foreground. If you look closely, you will see 3 yellow dots in the field. Those are the custom harvesters. It will take them about 3 days to pick our 50 acres of green beans. If you go back to my June 30th blog, you will see I griped about picking green beans by hand as a kid. This picture above is my preferred method of picking green beans... fresh from the field but done by machine and I can fill a bag in seconds out of the trailer! I used the same recipe last night with these fresh green beans that I posted back in June only I substituted kielbasa for ham. I used up the last of my frozen turkey stock from last Thanksgiving and added a hefty teaspoon of Old Bay. It was delicious! So buy more green beans this week. They're fresh from the farm!